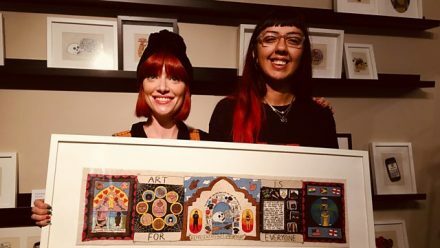 As part of the Pursuit of Beauty strand on BBC Radio 4, dress historian Amber Butchart meets embroidery artists at the forefront of liberating embroidery from its past, helping it flourish into a new and radical form of progressive art. Embroidery is experiencing a boom and with that an astonishing image overhaul. Traditionally viewed as a simple domestic task or maligned as a humdrum craft, a new generation of embroiderers are challenging this with complex, political, dynamic artwork that renews a desire for a lost haptic touch.